Did you know that “Illinois” derives its name from a Native American word that means “tribes of superior men”? What an apt name for an awesome place. The state of Illinois became a state on December 3, 1818, since then, it has evolved in terms of culture, history and abundance. Today, the state of Illinois is thriving in the fields of manufacturing, agriculture, coal mining and oil production. The state manufactures various products including food and agricultural products, chemicals, industrial machinery, transportation equipment, and computer peripherals. In the bustling Chicago district, commerce also is on the rise thanks to great iron, steel, a railroad center, and a world-class port. If you want to become a member of the “tribes of superior men”, you have to prepare yourself thoroughly for an Illinois move. Plan your move months in advance. Rushing things will lead to disasters and increased cost too! Plan out how you will do your move. Will you opt for a self-move or will you hire full-service movers? Hiring full-service movers will speed up your move and lessen your physical effort. Some people think that a self-move is cheaper, but once you include all of the transportation and road trip costs, you’ll see that it’s not a wise option. Start your packing at least 2 months before your actual moving date. Start with the items you rarely use and work your way up into the essentials. When packing stuff, begin with packing smaller items. That way, you’ll have more space for the bigger furniture which may need some disassembling. Don’t try to do everything on your own. 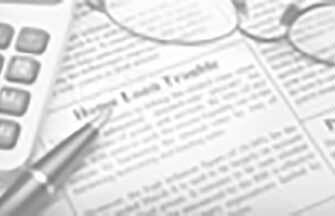 Always seek assistance either from friends and family, or from professional movers. You might end up breaking your back, or damaging your goods. Ask about insurance policies if you want to be 100% sure about the safety of your items. Most moving companies offer this, but third party carriers also work. Here’s a good rule of thumb when looking for movers- always get quotes from at least 3 companies. That way, you’ll have options and the chance to compare services. It’s a good thing that Top Mover Quotes is here. 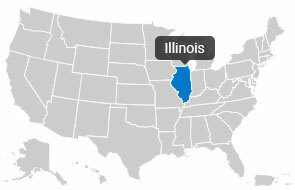 With just a few simple clicks, we can connect you directly with 6-8 top Illinois movers within the day. TMQ is the industry leader in online moving quotes, and the best thing about it is that we offer our services to you for free! Try it today and experience a fast and hassle-free move to Illinois. We specialize in household and commercial moving. Our services include; moving, packing & unpacking. We handle everything from small to large, including; pianos, safes, antiques and specialty pieces. Established in 1989 Family owned & opperated since 1989. Started with 1 truck, 2 men and a lot of hard work. Now have 10 trucks and employ 20+ employees. Meet the Business Owner: Michael M.
I worked for several local moving companies before starting this business on a shoestring budget. I have almost 30 years experience in the industry. Moving in/near Chicago. Hollander has been Chicago's Mover for over 120 years. Oldest Chicago Moving Company located in Elk Grove. Moving Internationally ? Moving Local Chicago ? Moving to Chicago ? We can provide a free estimate for our services. An Agent for United Van Lines and Mayflower Transit. Established in 1888 Moving Chicago Families for over a century. Chicago Best Mover. Fifth Generation owned family moving company started just after the Chicago Fire. We specialize in apartment to apartment moves within the Chicago area and it's surrounding suburbs. We also provide labor-only and delivery services. Established in 2007 Affordable Labor & Delivery is a family owned company. We have serviced the Chicago community since 2007.